Fruit Mania is a five-reel and 15 pay lines slot game. 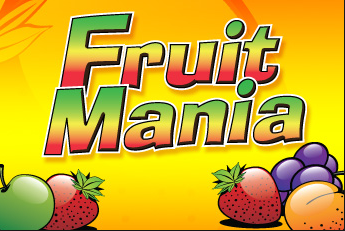 Fruit Mania is a darling to many slot players due to its generous payouts. The game’s Jackpot starts at an amazing $50, 000 and comes with several bonus features which are activated by collecting different symbols. If you bet anything less than $10 a spin, the maximum possible pay will be 1,500X your line bet. Regardless of your bet size, the next possible highest pay is 480 coins for all five Sevens Symbols followed by 240 coins for all the Bells and finally 120 coins for landing five oranges. This is during regular play. Fruit Mania is loaded with numerous bonus features with the free spins being one of the most lucrative feature in this slot. The free spins are activated by landing three or more Level Up scatter symbols. Every time you land the scatter symbols, the light at the top of the game screen lights up. If you keep collecting the Level Up symbols and you manage to get more than three scatters, you activate the bonus round. 3 or 5 Level Up symbols you win three or five free spins respectively. If you accumulate seven Level Up symbols you win seven free spins where all spins are paid double the price except the Jackpot. In the Wild Cherry bonus, you win ten free spins (with the wild symbol playing wild for all spins) but this is only after landing 10 Level Up symbols. Fruit Mania bonus feature awards you with 15 free games with every combination of fruit wins (3 - X15, 4 - X75, 5 - X225). The feature is activated by accumulating 15 Level Up symbols. During these free spins, an additional Bonus Round +1 symbol is summed to the reels. If you land one during the free games, you can activate the free extra spins.